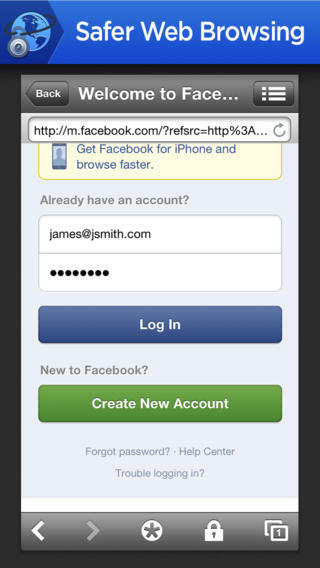 mSecure Password Manager is an iPhone app developed bymSeven Software, LLC. If you are in need of a secure app that can both store your passwords and help you create safe, new ones, then this excellent app is tailor-made for you! 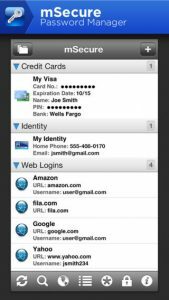 mSecure Password manager keeps your web site logins, bank accounts, and credit card info totally safe and secure. The app is universal, so you can have it on all of your iOS devices. 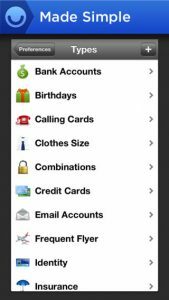 Some of the app’s best features include secure browsing, an auto self-destruct feature in case someone tries to hack your account, and a really cool password generator feature to create randomized pass codes. 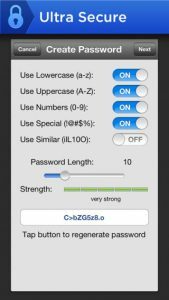 The password generator lets you incorporate numbers, cases, or special characters to create a password that is very hard to crack. mSecure uses ultra-secure 256bit blowfish encryption to protect personal information. The app also aims to make your life easier with automated syncs and back-ups. Auto-sync for iCloud and Dropbox helps to ensure that your personal data is synchronized across all of your devices. If you already have a similar app, mSecure makes it easy to switch. You can import your password data from a spreadsheet, or from a different app. I also like that mSeven Software has complementary password managers for Mac and Windows, so that you can protect all your devices. You can get $5 off the desktop versions of this app if you “like” mSeven on Facebook atFacebook.com/msevensoftware (regularly $19.95). While the iOS version of the app is a bit on the pricey side, it is worth investing in simply for the sake of your peace of mind. mSecure Password Manager is an app worth splurging on, no matter what platform you prefer. 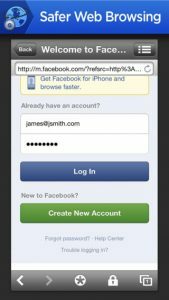 mSecure Password Managerrequires iOS 4.3 or later. Compatible with iPhone, iPad, and iPod touch. This app is optimized for iPhone 5.